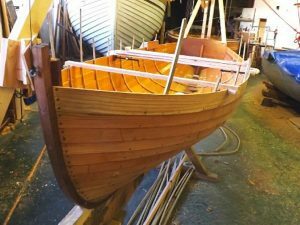 How Feasible Is It to Build My Own Classic Boat? Now that classic boats are so much in fashion, the question of whether one can build their own boat in this style keeps popping up. Well, the answer to that question is far from definite. Because there are those who can do it with ease, there are some who can do it with a certain amount of training, and there are others who would be better off buying a ready-made boat. This is undoubtedly the first question you should ask yourself when the thought of building your own classic boat comes to mind. Do you have any knowledge about boat building? Yes, you may have better equipment to work with, than the builders of a century ago had, but do you have the experience? If you have built a boat of any kind in the past, then yes, you probably can create your own classic boat. So yes, you have the adequate knowledge and skills to build a classic boat, but do you have the necessary requirements to do the job? It is important to realize that classic boats require some joinery, that differs from that of modern boats, and may require different equipment. If you are making just but a single boat, buying this equipment may prove to be expensive. If you have no worries about cost however, then feel free to spoil yourself. The items that differentiate classic boat models from modern ones are their unique patterns and finishes. Remember a classical base is so much more about the artistic bit, rather than the engineering side. To build your own boat, you really should be ready to spend hours upon hours, to ensure the smallest details are given close attention. If that does not sound like you, then dialing the boat store might just be a better option.